On the whole, I tend to avoid stories that involve catastrophising – there’s enough of that going on inside my own mind, thank you very much. And up until now I’ve tended to steer clear of narratives based on climate change, considering them to be too much of a lure to the spurious correlation of personal morals with natural justice. Or to put that another way, after my niece had seen the film Poseidon, she’d explained how easy it was to spot the characters who were doomed. ‘There was a scene in the film where one man pushed rudely to the front of the queue,’ she said, ‘and I knew he was going to get it.’ Quite – too much disaster literature revolves around saving the characters with names, and feeding endless extras into the gaping maw of chaos. The personal storyline dominates, we attach sympathetically to the hero fighting to rescue his wife, child, dog, from the inferno, volcano, tornado, etc, etc, and we gain a measure of tension-relieving satisfaction from witnessing the ungrateful, the feckless and the ill-mannered suffer an unpleasant death. It’s very rare to find a story that takes disaster itself seriously, and that opens up the question of what we might actually do when the future turns out to be grim. So it was with dawning respect and a strange sort of pleasure that I read Salvage by Robert Edric. Edric is one of those writers who has been producing critically acclaimed work for many years, without quite breaking through the barrier to the territory of instantly recognizable names. 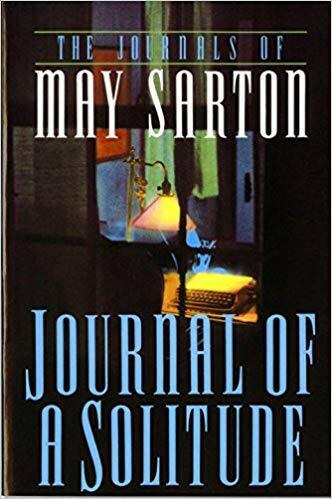 His novels have been very varied in theme, but their emotional tone has remained steadily based on a cool and faintly distanced appraisal of almost intolerable distress. The blurb for the book links him to Orwell, but I found his writing more Kafka-esque. Anyhow, Salvage is set in the UK, one hundred years hence, when the Gulf Stream has ceased and large parts of the country are either underwater or regularly inundated. Quinn, the main protagonist, is a middle-aged government official sent north to audit a remote area of land earmarked for a large and prestigious development. There are, it seems, whole areas of the country where relocation is either an urgent necessity or an imminent problem, and without great swathes of back story, the reader gains the impression that things have been going badly for so many decades now that some kind of good news, some sort of genuine hope for the future is desperately needed. A shiny new model town is just what the population wants to see happening, and before he ever gets there, Quinn is aware that his audit is worthless. When he does reach his destination, he runs into a consortium of local dignitaries – the mayor, the priest, the head of security – who have seen a different sort of future, one that is full of highly personal financial gain, and Quinn’s attempts to figure out the truth behind the build land him deep in murky and machiavellian corruption. On the one hand, there’s the question of what the people want, and on the other, the question of what they are going to get. However desirable a new town may be, there are serious problems with the landscape that no amount of political spin can remove. Staying in the same hotel as Quinn is another government employee, Anna Laing, who has also been sent in preparation for the new development. Anna’s task, however, is even less savory than Quinn’s. She is in charge of decontaminating and filling the mass burial sites for cattle that surround the area. Various diseases, like foot and mouth, have caused all of the UK’s cattle to be destroyed over the past century, and now the land has to be made hygienically safe. But Anna instantly encounters problems; the pits turn out to be twice as deep as she has been told they will be, the area is littered with burial mounds that have not been officially registered, the contaminants are far more dangerous than the public knows, and then there’s the weather. As work on the site makes it limping progress, and both Anna and Quinn find their professional integrity pushed to the limits, the rain begins to fall again and the flood waters to rise. There were a number of things that I found impressive about this book. First off, what sounds like it might be a dreary and depressing read is in fact highly engaging and gripping, and yet also profound. The strange twilight tone that Edric writes in really does its job of stabilizing and holding the reader in the narrative in an unexpectedly safe place. I felt like a privileged witness to a scene of chilling and recognizable reality; I was able to think about what I was being told at the same time as turning the pages rapidly out of a need to see what happened next. And what does happen next felt very realistic. Edric’s twin disasters are flooding and cattle disease, both problems that the UK is encountering right now and will continue to encounter with increasing gravity. Most climate change stories focus on big, explosive, unexpected catastrophes, whereas the more realistic scenario is a gradual worsening of a situation that is already in place. It’s essential that writers understand this if they want to warn us about the future. If we continue to envisage climate change in terms of a sudden tsunami or burning desert in place of arable fields, we cannot make the links between our current lives and the future. The things that happen unexpectedly are not things we can prepare for, or guard against. More realistic and pertinent is the realisation that what we do right now is determining the way our children and their offspring will live. So perhaps the most impressive and subtle part of the narrative is the recognition that our desire for things to be okay, and our tenacious insistence on resisting change are more problematic than the natural disasters themselves. Also tugging at the edges of the narrative is the insight that the more out of control the natural world becomes, the more humans will try to control one another in a graceless and unhelpful form of recompense. Security and surveillance dominate life in Edric’s vision of the future, and yet the superficial gains they produce are worthless and all done for the outward effect. Characters fall roughly into three categories; those who learn to manipulate the system to their own selfish needs in a corrupt and opportunistic way; those who are victims of natural disasters and cannot find a way to either reconcile themselves to change or fight effectively for a different society; and those who carry on regardless, who are stoic, pragmatic and blind. 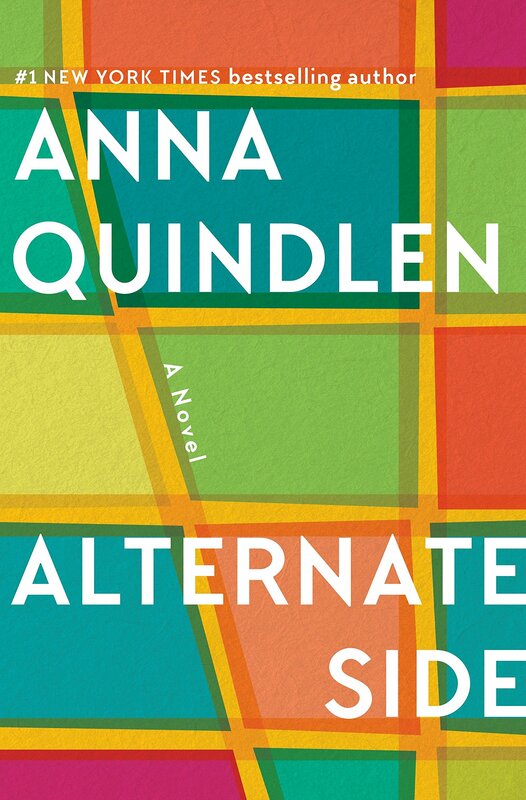 Anna and Quinn, the main protagonists, are in a slightly different situation. They are there as the good side of power, as people who would ideally gauge risk and facilitate life in an authentic way, but whose voices are subject to powerful silencing because the truth they have to tell is so unwelcome. As a message to the contemporary world, that struck me as being a highly pertinent and deeply disturbing one. All speculative fiction grows out of anxieties rooted in the here and now, and in Salvage, we encounter a future in which our need for peace, security and stability has overridden – and continues to override – unpleasant reality in a problematic way. It is a novel which fears that our petty concerns with entitlement will continue to plunder and damage the earth in the vain hope of sustaining life as we know it. Edric makes a very convincing case that our rights and demands will be completely irrelevant in the face of nature when the floodwaters start to rise. This is a powerful novel and one that deserves a wide and attentive readership. This is a great review. I’m currently waiting for a copy of ‘The Rapture’ By Liz Jensen, which is also about the catastrophic effects of climate change. As the themes in this book are relevant to today’s society, I am interested in how the writer deals with this issue. 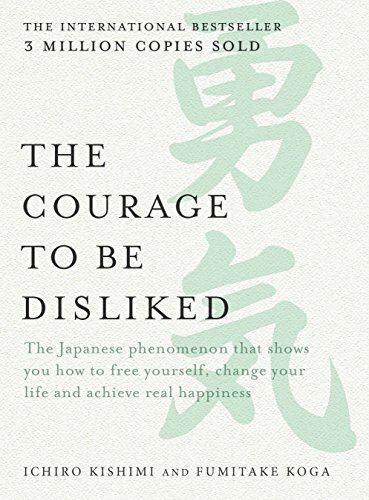 After reading your review, I am also inspired to read this book. I think I’m a closet “catastrophile” – not even sure if that’s a word – as long as it’s limited to fiction. It makes for an exciting read. I worry about real life catastrophe, however, and about the kind of world my grandchild (or his future siblings and cousins) will inherit from me. And in the end it won’t matter if it’s all over in a bang or a whimper, because we can’t remake it, no matter how hard we might try. Best to think ahead and change things while we still can. This sounds like something I need to pick up when I see it at the library or book store. This sounds wonderful! I hadn’t heard of it before, but it’s definitely been added to the TBR list. Such an excellent review, LL. Sometimes just the sheer superior standard of your combined intelligence, vocabulary and insight improves my day. I really mean that. And even as you were saying it might sound dreary or depressing, I was thinking, ‘No, GRIPPING!’ – and sure enough this is what you next said but had really already conveyed. Look, as a general rule I don’t rush speculative fiction, and I found The Road so harrowing it gave me nightmares and made me cry, but thanks to you, this sounds pretty damn unmissable. Like Grad, I am a catastrophile, though I like to read about them in the past (expeditions to the Arctic, for instance.) This sounds wonderful. I don’t know how you do it: everything I read about on your blog sounds like something I must have in the next five minutes! I love the trend in movies for the really rude extras to be killed off as a punishment. It’s a very British message abaout the importance of queueing properly and waiting your turn. You get nowhere with pushing and shouting. I’m also wary about books where the disaster involves climate change, because they tend to get preachy (how can you not imagine that the wonderful, Earth loving main character is the author’s vision of themselves? )but this sounds more subtle. Don’t think I’m morbid but the bit that interests me the most is Anna’s job of filling in the cattle burial pits. Years on from foot and mouth farmers are still paying the price, when it could all have been sorted out with vaccinations, but it’s a subject that doesn’t seem to turn up in fiction very often. I have a complicated relationship with catastrophe-type books. Part of me thinks it’s neat to see how the writers imagine real people would respond to the situations they create, and part of me just wants to leave such books alone and head off the inevitable nightmares that would result. 😛 Especially if it involves water levels rising, as that would mean that my two favorite places in the world, Louisiana and London, would go underwater. Eeek! Oh, this sounds like a good book, not sensational, not death to the SUV drivers, but much more subtle and insidious. The book hasn’t made it to the U.S. yet but I’ve got it on my list now and will keep an eye out for it. You might find Octavia E. Butler’s Parable of the Sower interesting. It’s not climate change but it is about the dissolution of civilzation as we know it due to myriad factors already in existence. I had to jump back in here and respond to something Doctordi said. My son, John, has been after me and after me to read The Road. He warned me it would scare the living daylights out of me. I have resisted for just that reason. I was wondering if you’d read The Road, Grad, after reading that you’re a ‘catastrophile’ (fantastic word, btw, leagues ahead of the moronic so-called Word of the Year 2009: “unfriend,” which is stupid beyond belief). It probably deserves a run on the sole basis of its being such a superior example of the genre. But you have been warned! great review! It’s added to my tbr list. I have always enjoyed this kind of fiction -futuristic, somewhat end of the worldish, although I have to admit as an adult it hits a bit too close to home – as a child it read like fantasy. Litlove your review is so thoughtful and fascinating. I waited to comment hoping to have something worthwhile to contribute. Unfortunately my brain is on holiday while waiting for my agent to finish reading the latest draft. But I am putting this book on my list and intend to read it very soon. I really want to see how he creates that manageable distance while writing a gripping story that also provokes thought. Karen – The Rapture is a book I’ve heard of and now that you’ve recommended it to me I’m keen to read that, too! I hadn’t thought of climate change as being such a potentially interesting topic, but now I’m really intrigued to see how another author will deal with it. Thank you very much for mentioning it! Grad – catastophile is a marvellous term and I am taking it up immediately. I’m not so much a disaster movie fan (for instance), but I did enjoy this because it was so chillingly plausible. I ought to have been put off, but in fact, I appreciated it so much more for the credibility. Check out Edric’s back list too – there are several other fab looking novels on it. Bluestocking and Claire – it was a surprisingly good book! I didn’t expect it (which made it even nicer in some ways). doctordi – awww that’s so nice of you! Thank you! As a rule I don’t do disaster (and will go nowhere near The Road because I’d have the same reaction as you and resent it). But somehow this novel makes it very easy for the reader to watch. It’s that Kafka overtone – bewilderment and restraint in the narrator can be usefully distancing at times! Jenny – that’s very kind! I really enjoyed this one (even if somehow that is not the right verb) and I expect that shows. I hadn’t thought about it before, but I agree that disasters in the past are much more manageable than the predicted ones. But this was very unthreatening to read, at the same time as being utterly chilling. I admired that combination. Jodie – I am still laughing over your comment. How true about British moral teaching!! And I have been very annoyed in the past when attempting to queue in Europe. I don’t understand why there aren’t more riots. You have put your finger on the book by saying the most intriguing parts are the ones about the cattle pits. You are quite right! That was absolutely gripping. And this is subtle and never once preaches AT ALL. Quite a feat. Jenny – I really do know how you feel, as generally I am the same. I steer very clear of this type of story as a rule. But this one was unusual in that I read it without a single nightmare, even though it was more plausible than your average catastrophic tale. I’m not quite sure how Edric did it, but I was very glad and impressed that he did. Stefanie – I have LONG intended to read Octavia Butler. I really should get hold of a copy. 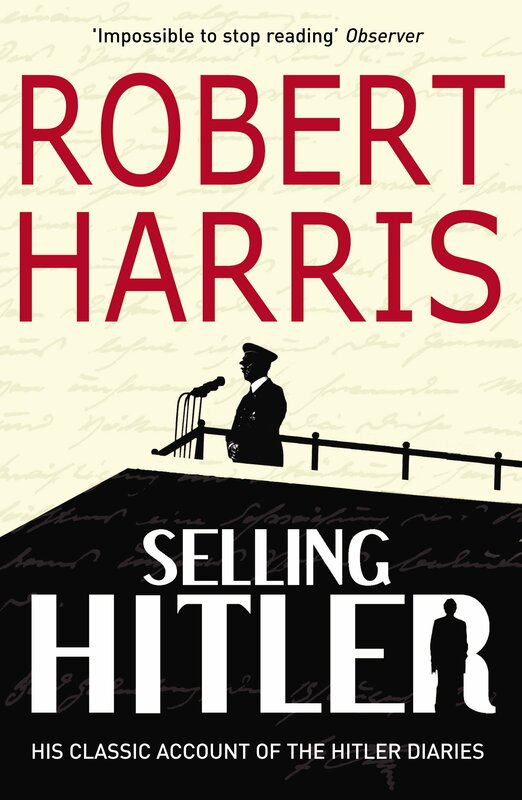 I think you would appreciate this book as it is a thoughtful, provocative and gripping read. I’m also interested in Edric’s back catalogue – he’s twice been shortlisted for the Booker apparently. I’d love to know what you think when this makes it over the pond. Grad – you are very welcome, and I’ll just add that I haven’t read that book for the same reason! Doctordi – ‘unfriend’? For real? That’s pathetic! Courtney – what was surprising about this book was its ability to cut so close to home, to be so very credible, and yet not to be nightmareish in a sensationally upsetting way. He is one clever writer. I’d love to know what you think of it if you do get hold of it! Lilian – oh thank you! And I have my fingers crossed for wonderful feedback from your agent. In the meantime consider Edric’s back catalogue. He has written a three book crime cycle, several novels about WW1 and a different sort of novel about flooding. He has an extremely interesting style. Great! We can swap opinions of the book, after both of us have read it. Catastrophe movies were a huge deal in the late 70s and early 80s and I swear my dad took us to all of them. And your niece is right, you can always spot the doomed character a mile away! I’m afraid my fondness for them has waned, but I am interested in books that deal with the subject (in perhaps a less melodramatic way). If I had seen this sitting on a bookstore table I’m not sure I would have picked it up, but you’ve made it sound really appealing! I’ve never heard of this book or author before, but it sounds really good. Some of the insights you describe are new to me and would be very interesting to think about — especially since they come out of a book that’s so absorbing. Perfect!